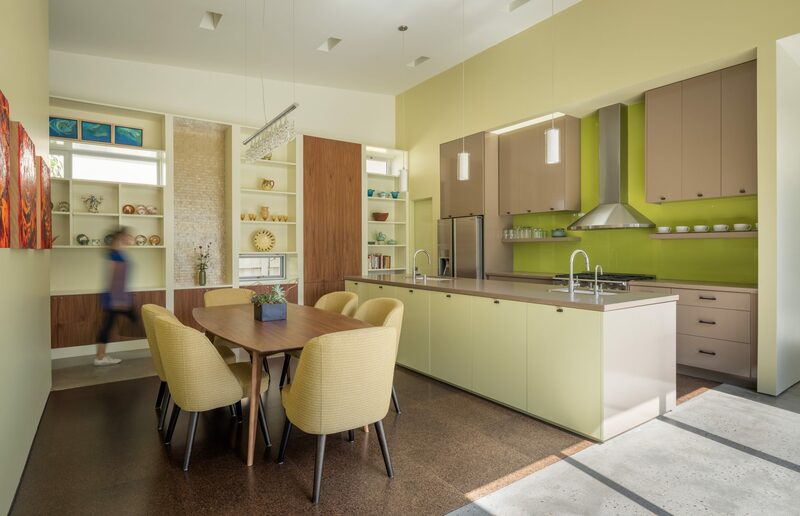 Built for two artists and educators whose work focuses on environmental history, ecology and urban transportation, the Villa Villa is envisioned as a single-family home that is fundamentally interconnected with the surrounding urban fabric. 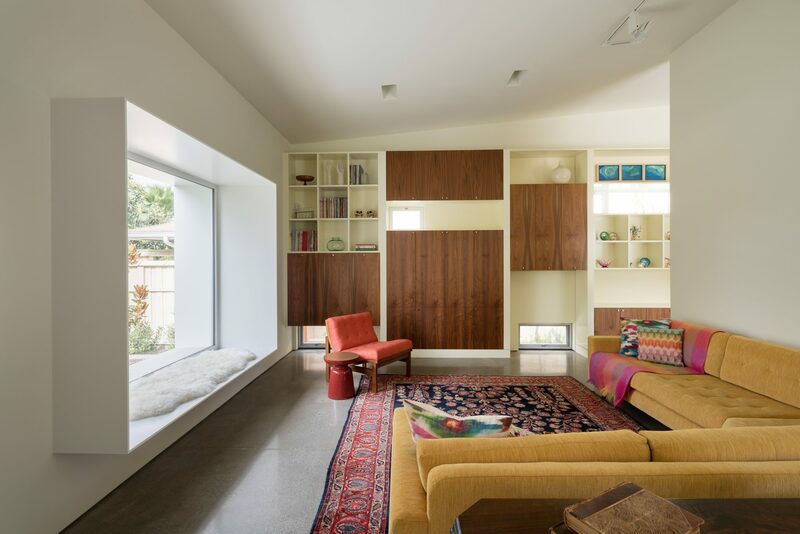 The house is sited on the outside edge of a traditional Pasadena neighborhood, on a street with neighborhood shops, a bus line, multi-family housing, and is one block from the Metro Gold Line station. 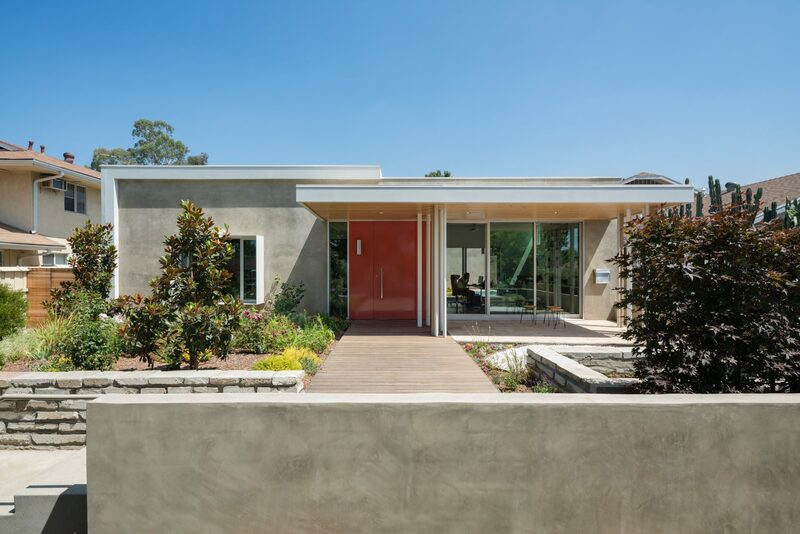 The house, which also provides a location for gatherings of students from nearby Pasadena City College, provides a lesson in modern urban living. 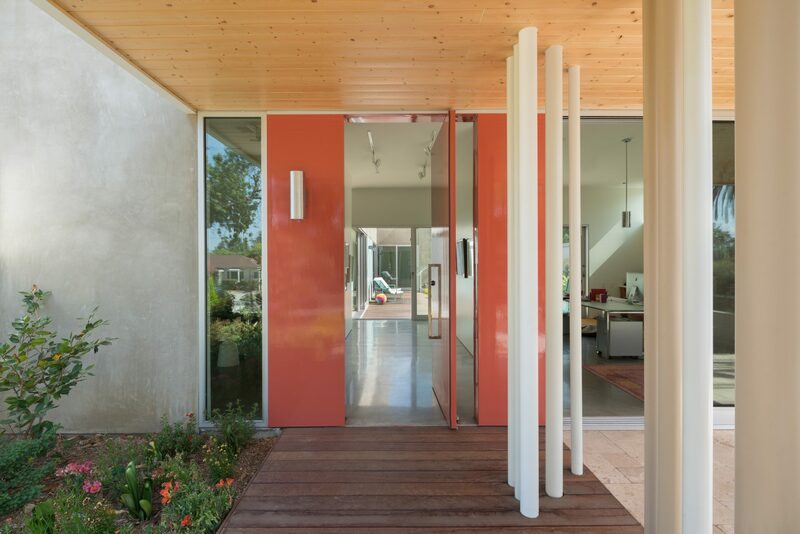 It opens forward first with a large street-facing picture window, and then invites visitors along a boardwalk that reached through a gallery, the courtyard, and into the studio space at the rear of the property. A side entrance is designed specifically for bike commuting. 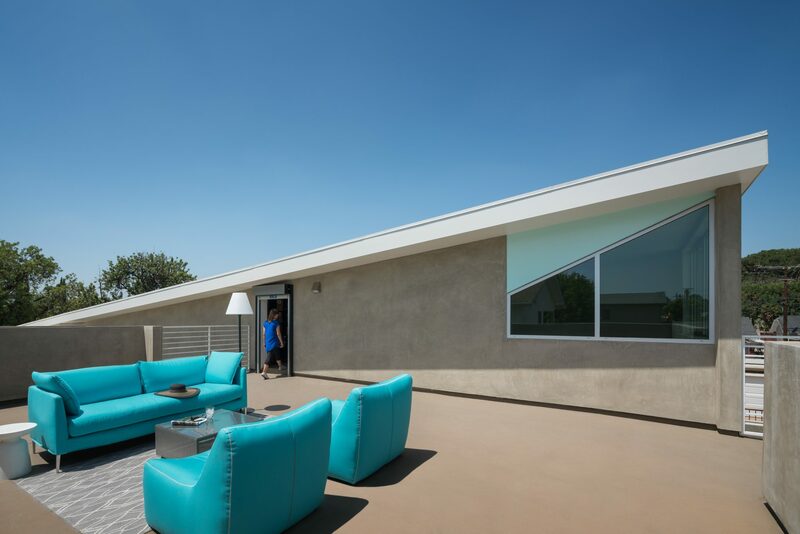 The overall structure was massed to take advantage of the sun, and the large south-sloping roof efficiently accommodates SunPower PV panels that generate about 40kwh per day, as well as thermal panels that provide all the required heating for water for the house and therapy pool. 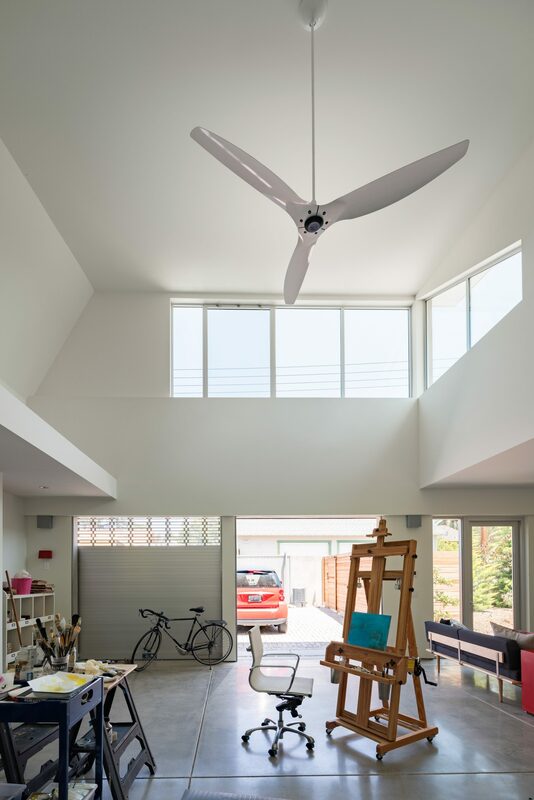 The garage doubles as a large art studio, with north-facing windows and a connection to the organic vegetable garden. 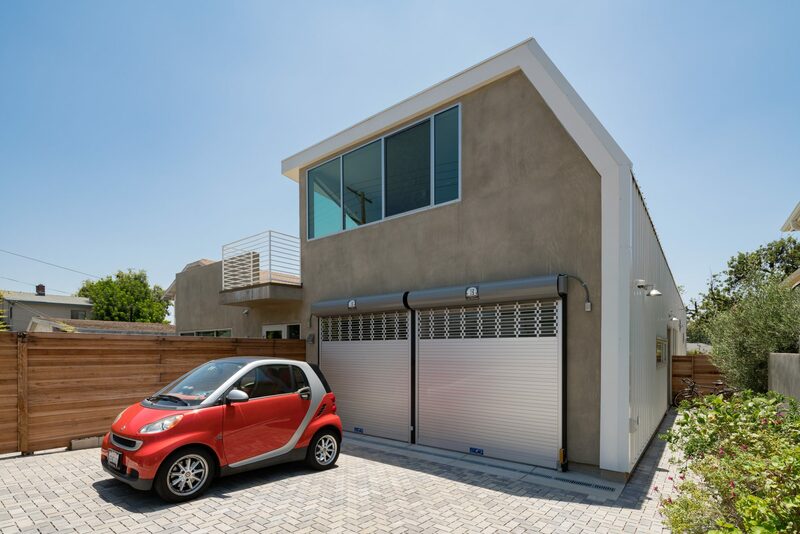 All materials were chosen to minimize the environmental impact of the construction, and elements from the demolition on the existing site were re-purposed on-site where possible.